Hands On You have £3,000 burning a hole in your pocket. You're also an engineer, developer or manipulate visual images. You also absolutely must have a touchscreen portable workstation, preferably with a display that detaches so you can go home and watch Netflix. If you're in that most slender Venn diagram intersection, then lucky, lucky you! 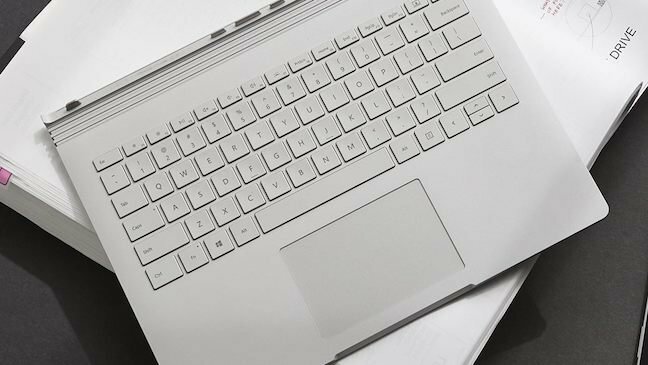 Microsoft's new Surface Book 2 is pretty much aimed between your eyes. The 13.5-inch model loaned to us and illustrated below will set you back a cool £2,999 and will shortly be joined by an even larger 15-inch beast. The Pen isn't included. The proposition is the same. Arriving after the customary six-month lag that it takes to reach the 51st state, the proposition is unchanged. It's a Surface on steroids. If the Surface is an over-engineered tablet then the Book is an over-engineered laptop, and then some. In fact, it has been taken to a special over-engineering clinic, fed on over-engineered truffles and then run over by an over-engineered monster truck. Get the picture? OK. 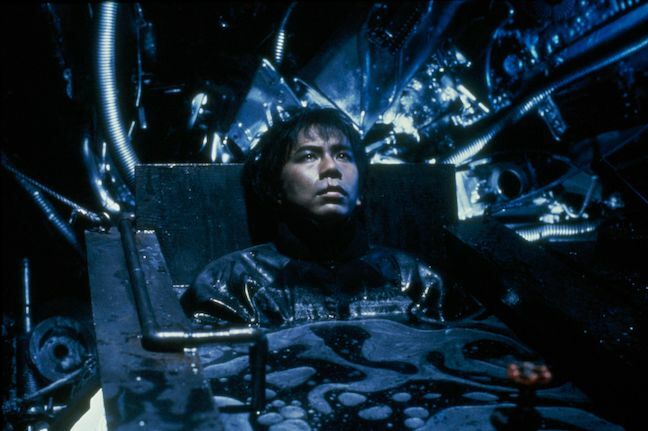 If Taniguchi from Tetsuo II: Body Hammer had a Saturday job designing laptops, he might design something like the Microsoft Surface Book 2. The proposition is a tablet that docks into a keyboard, the keyboard cramming in a hefty Nvidia GTX 1050 graphics card and a battery pack (except for one model, the cheapest SKU, which eschews the dedicated GPU and uses Intel's built-in graphics). The tablet display portion is bigger than the regular Surface Pro so the keyboard isn't compatible. You can't buy it separately in any case. 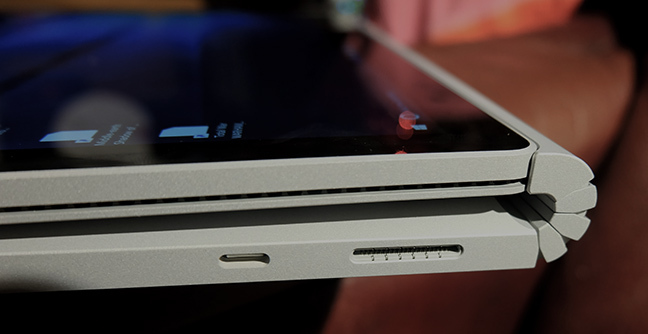 The tablet docks in one of two ways, giving Surface Book four modes, according to Microsoft. This is stretching it a bit. With the tablet portion docked in the traditional manner, with the screen facing the user, it's a regular, but hefty (and did we say over-engineered?) laptop. Dock it with the display facing away and it can be used in "Studio mode". Or as a plain old (but hefty, and some say over-engineered) tablet, with the keyboard folded right back. My experience with the original Surface Book was marred by bugs docking and undocking. In the end it just got fed up with this and refused to allow me to undock at all, making a derisive little click, but refusing to detach the keyboard from the tablet. Happily this worked flawlessly on the Book 2. The connection is so robust you don't fear picking up the laptop by the top of the screen. It's very impressive. I also ran into issues with power management – it wouldn't go to sleep – and graphics. But again, the execution of the second-gen Book is much better than the first. I couldn't fault it. Maybe it heard me calling it names. But when Consumer Reports magazine pulled their recommendations for the Surface Book, I can't say I was surprised. All this might account for the fact that while Surface is a hit, it isn't a profitable hit. This time Microsoft has added a USB-C port and retains the SD card reader. The keyboard itself was fantastic to type on in Gen 1, and is even better now, if you can glean any difference at all (Microsoft says the travel is even deeper). It has a lovely springy firm feedback. The display is 3000x2000 (3:2, duh) – but if you're a professional who works with colour images, check the gamut is sufficient. This model adds support for Microsoft's Surface Dial – very useful if you largely work within a single application that Dial supports. Sound has been improved – it wasn't bad before – with a new speaker design. The three-grand asking price of this particular Book 2 is because it carries a 1TB flash SSD. The 256GB storage/8GB RAM model is a "mere" £1,999, and the basic i5 model – the only i5 model – starts at £1,499 including VAT. However, in the stratospheric segment of the market called "performance workstation", this isn't completely outrageous. Lenovo has a Yoga in its P-series workstation and the prices are fairly similar – but it's an ageing model that uses the now defunct sixth-generation Intel Core i5/i7 processors, while Microsoft's monster uses the latest, eighth generation. A better comparison is Lenovo's beefiest Thinkpad, the P71, which is also aimed at engineers and other heavy-duty users, and goes up to a Xeon-powered model at £4,050.79. 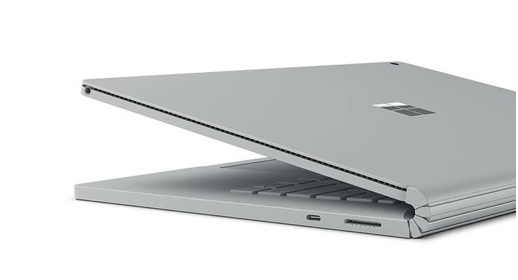 Nobody will mistake either the Surface Book 2 or the P71 for "thin and light". I'll reserve judgement on battery life and real-world performance after spending more time with the Book.